Movies are events – they launch of Friday and if they do well, they peak at the weekend and then the collections collapse. In our case, apps start slowly and creep up the charts – then virality kicks in. 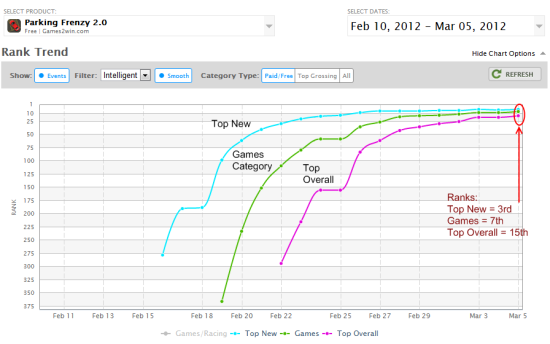 The Flurry graph below shows a slow steady climb in user acquisition from Feb 10th to Feb 18th. 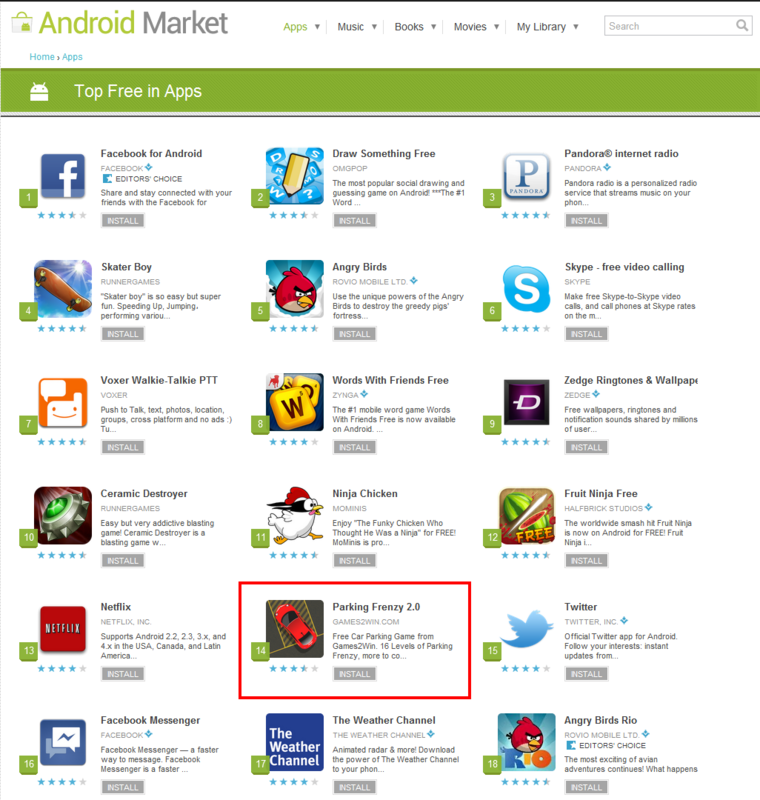 Then around the 19th Feb, the app just took off like a rocket. 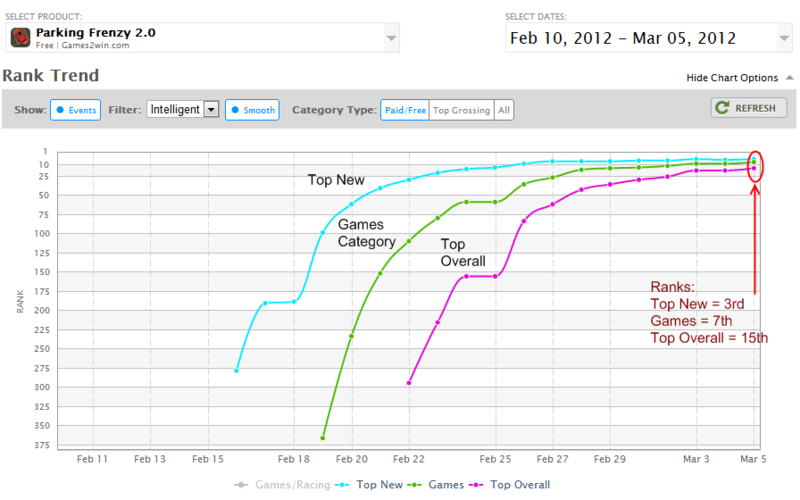 The below graph from Appfigures.com shows the trajectory of the app. In one month since launch, the app is at the current high. The best analogy for this app can be Super Hit Movie or just a really great hit app! 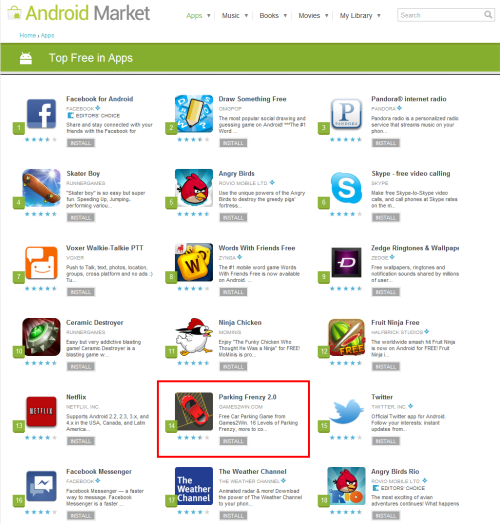 Lastly, the android market screenshot – 14th ranked Parking Frenzy is above Twitter, Facebook Messenger and Angry Birds Rio!! To download and experience the app, click here!